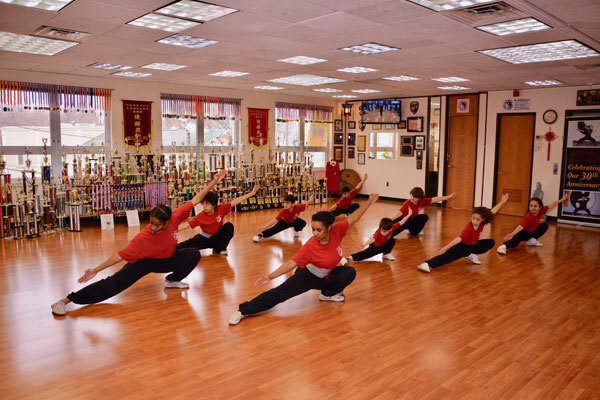 Unlike most martial Arts schools, a large part, maybe even the largest part, of our student population consists of adult professionals and individuals. Men and women, many 40-50 years of age looking for a fun exercise and self defense, participate in our classes without worrying about black eyes and broken teeth. Many of our adult students have told us they always wanted to train in martial arts at some time or another but due to lack of time, money, or other reasons they never did. Others have had some training in the past but had to quit for one reason or another. It is never too late to start or resume training. We offer training for beginners in the traditional styles of Northern Shao Lin and Tai Chi Chuan depending on you personal goals. Whether the goal is weight loss, self defense, stress reduction, increasing muscular flexibility or just plain fun we have programs for you. Many of our students have come to us for cross-training purposes to increase flexibility or endurance for other sport activities. Though never required, those with an eye towards competition may have an interest in training for martial arts tournament competition. PLEASE NOTE : Our students do not engage in free sparring as a means of developing fighting skill. Our goal is to develop full power punches and kicks in a unique way using muscle memory. Self defense drills with a partner are also used to help develop reflex response.